Portraits of a nation in decline. An unnecessary and easily fixed decline. Summary: Many important stories can be told simply, sometimes even in pictures. So it is with one aspect of America’s decline. Our decisions and the results are easily shown in this post. Fortunately we hold elections every two years, should we wish to organize and change the direction of America’s public policy — and put America back on the path to prosperity. 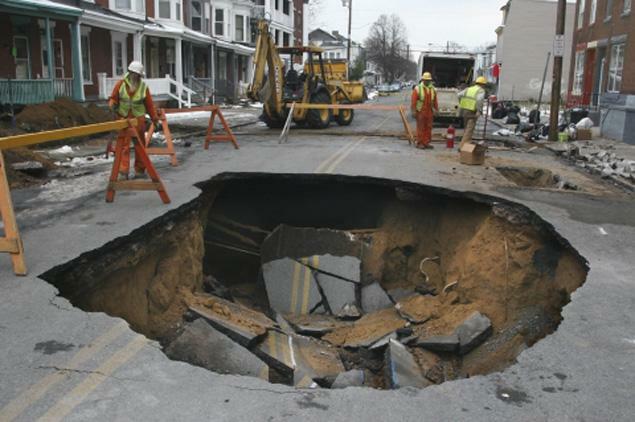 Here we see a sinkhole in bankrupt Harrisburg PA (story here), one of the worst among the many America cities unable to pay for maintenance of their infrastructure. Since many cities underfund their infrastructure, this will become an increasingly common story during the next decade. 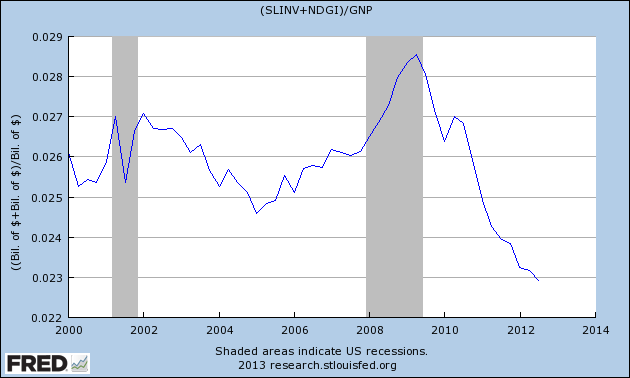 This graph shows non-defense public investment by local, state, and Federal government as a percent of GDP. This underfunding is what allowed America’s once fine infrastructure to decay into the shabby decay that one sees today across much of America. Building a great nation: Eisenhower, Kennedy, Johnson — high rates of investment in America. Same data as above, but from 2000 through July 2012. A brief surge of investment in shovel-ready projects, then starvation of investment back to near the insane lows of the Reagan Administration. A decaying infrastructure, unemployed workers, and the ability to borrow for long-terms at lifetime low rates — so our leaders decided to slash spending. It’s most important to them that the 1% pay taxes at multi-generational low rates (far below those during the years of rapid growth after WWII). One must have priorities. 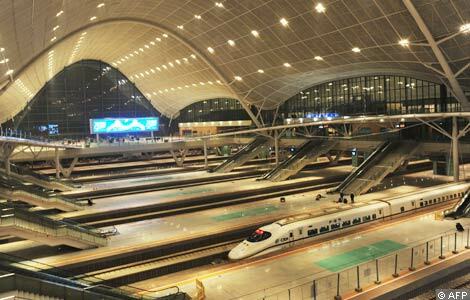 Chinese workers put the final touch on the interior of a new Railway Station in Wuhan, central China’s Hubei province on December 24, 2009. China plans to build 42 high-speed railway lines by 2012 in a massive system overhaul that is part of efforts to spur economic growth amid the global downturn, state media have reported. Many economists, closely counting the beans, proclaim China to be over-investing. Certainly that’s true. 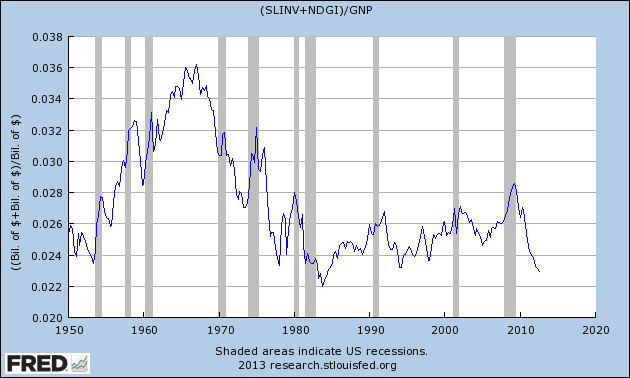 Just as Britain and America did in the 19th century, producing the boom-bust investment cycles in canals and railroads. For example, the Transcontinental Railroad was a boondoggle in purely accounting terms. It required massive subsidies to build, and annually for many years afterwards. But the benefit to the nation was well-worth the money. Similarly, China is building a world-class transportation system when it costs little, with land and labor cheap. While there might be no return for several decades, they’ll benefit from this investment for many generations. Who would you bet on? A nation allowing itself to decay? Or one with exuberant confidence in its future, and willing to spend money to build that future? 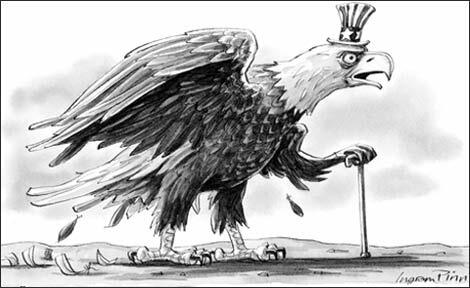 That was us, and is China today. The evolution of the Republican Party has shaped America during the past fifty years, 8 May 2010 — Origin of the “starve the beast” policy. Previous Post Another way to look at the national debt. More comforting, less scary.